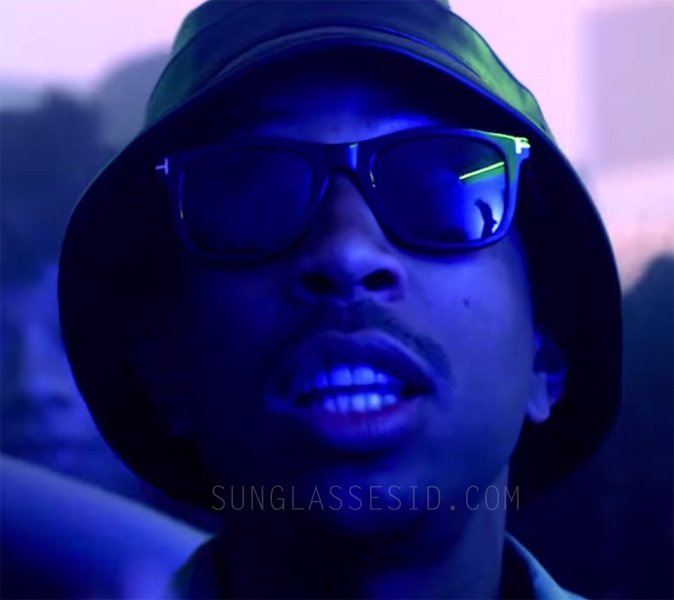 Ludacris wears Tom Ford Leo FT0336 sunglasses in his music video Grass Is Always Greener. Rapper Ludacris wears Tom Ford Leo FT0336 sunglasses in his music video Grass Is Always Greener. The Tom Ford Leo is a square Wayfarer style sunglasses. Ludacris wears the model with shiny black frame, rose gold metal T detail and blue lenses. The same pair of Tom Ford Leo sunglasses is also worn by Chris Brown in the music video B*tches N Marijuana. Get the Tom Ford Leo on Amazon.com, Amazon.co.uk, Tom Ford or eBay.